Here comes the last episode of PEOPLE in Beta series devoted to the team of People in Beta festival 2014. Last but not least Catalina Müller is in the spotlight. She took over curation of the content for coworkers, making sure we got quite some interesting things for those beautiful people. Read on to learn how to figure out what coworkers want and why you might want to get a PhD instead of becoming a medical doctor. You had a challenging task to cater the coworkers – as broad as this crowd actually is. How did you approach it? There aren´t much visible similarities among coworkers except that most seem to have a Mac in front and headphones on their ears. I have used the services of a few co-working spaces in Berlin and San Francisco, but insights about the other people that were sharing the space were still to be discovered - their skills, their background, their ideals. I had quite some talks with Katy, the head of Front Office at betahaus, who knew all of betahaus coworkers, and tried to understand what could they benefit from. Then I've created a survey for them to fill in to express their wishes and I had also the invaluable guidance of Elizaveta, the director of the festival, who had the experience and creative insight to steer me in the right direction. You created an extensive lineup including a range as wide as from mindful meditation to PR workshops.. if you were to choose one skill that each visitor should have taken home, what would it be? This is a very hard question because I feel very close to each of the workshops and talks that I brought on the lineup. On the day of the festival I would have loved to be just a regular visitor and be able to take part in all of them. In the end, I think the variety is what´s important so participants would have had a chance to find what they were looking for and I hope they did. A doctor. Not the PhD type, but a real doctor who can heal people. However, I had to adjust this dream when I discovered that wounds (serious and nasty) make me faint. So, here I am today - just with a PhD in Economics. I love to cuddle up with my husband, watch a movie and eat ice cream. Spontaneity and humor. I admire those who are spontaneous, probably because I feel is something I lack, and I savor humor because it always makes your day a lot better. Women freedom and health services. I can't imagine myself living in an age where there was no medical care, marriages were arranged and women were supposed only to cook and bear children. Violence. I see no need for it. Tea and, for long days, coffee. 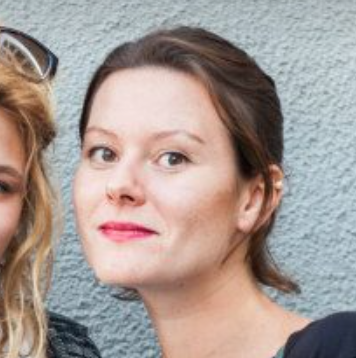 Want to join Catalina and other entrepreneurs at betahaus? See how here!